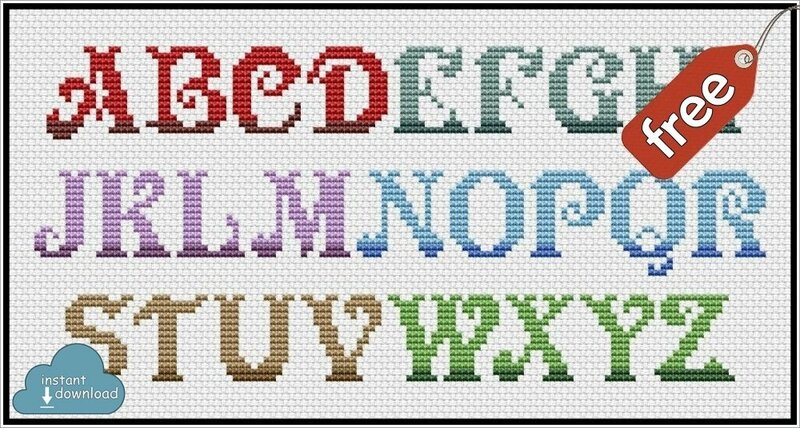 Christmas ABC Cross Stitch Pattern PDF + XSD. Instant Download. Free! Bright and simple Christmas alphabet design. Easy to finish - cross stitches only!